Just as ancient kings received a special anointing with oil behind the sacred altar, a husband receives a special grace from God to accomplish the task of leading his household. A wife is the queen of her home; she is a wise and industrious homemaker who helps her husband and joyfully submits to his leadership. The very health of a nation depends on this. Independence. This is not only an American motto, but it is also a powerful cultural movement within our day. It is the very antithesis to Interdependence, the more community oriented form of dependency itself. To show any form of being dependent on another individual or groups of individuals is seen as weakness in our day. In the pre-modern world, dependency was the norm primarily because communities were relatively isolated. Families worked with the resources they had on hand and within their given geography. The carpenter depended on the logger and built a relationship with him accordingly. The farmer depended on the shopkeeper and also built a relationship with him accordingly. The family worked in a similar fashion. Spouses depended on one another which according to saints such as John Chrysostom, strengthened their relationships. This is how marriages in Orthodox as well as many non-Orthodox countries have thrived for many centuries. Couples built a dependency on each other. Men needed women, and women needed men; not just for procreation, but to be a healthy and productive member of society. In the Orthodox empire, for nearly a thousand years, this model thrived! Canons were formed by the Church working with the state to protect this family structure, forming the laws and guiding the community accordingly. This Orthodox form of society, including its canon law and general knowledge of how family is to cooperate, later transpired to the Slavic lands. Being one of these lands, Russia grew to become a very sophisticated Orthodox nation, with this same type of interdependent philosophy. But it all began to change as the Industrial Revolution began to take shape. What the Russian Orthodox people called “sobornost” (communal living as in St. Paul calls us to be “of one accord”) began changing into what Stalin called, Novy Sovetsky Chelovek (New Soviet Person). He was eradicating patriarchy from the Orthodox culture and forming a new type of man, and especially a new type of woman. Similar to many other nations during the Industrial Revolution, Russia built machinery for men to operate for their families and communities. And like other nations, WWI began and machinery quickly began to develop in a very large-scaled manner, unlike ever before. Weaponry and transportation had to be produced, and this labor demand did not discriminate against women and even children. The interdependency of the family was nearly crushed within Russia. Arguably with one of the fastest transitions of ancient culture to modern culture, Russia, around the turn of the 20th century, became an industrial powerhouse, ready to embrace the World War, to avoid being conquered. The hammer and sickle became its national symbol. Year after year, and then generation after generation, the mighty Russian Orthodox society that was so heavily rooted into traditional family structure was overtaken by this new culture of the New Soviet Person. To create this New Soviet Person, Stalin had to draft women and many children into a labor force that they were not accustomed to in prior times. Every able body labored for the motherland within very strict forms of manufacturing and shipping. Traditional communities with all of the local interdependency was gone. A new type of society was being built that could now sustain the physical and psychological attacks of other nations and cultures. The Orthodox society based on the interdependent patriarchal family was gone, replaced by an egalitarian society of industry. Men and women were still getting married, and children were still being born and raised, but the very organization of the family became industrialized and the old model ceased from influencing society. The egalitarian element of communism was ripping through Russia, day by day, destroying the authority of men while creating a culture of moral and spiritual relativism. 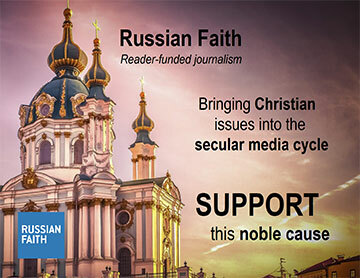 Glory be to God that Russia is now resurrecting the Church and actually placing the Church as a figure of authority within society. The patriarchate is back in office, the abortion rates are already falling, and the patriarchal family model is certain to continue to grow within the Orthodox culture of Russia. This is what we must discover in today’s societies across the western world: how can we take a very faded if not completely neglected model of interdependency within the family structure and resurrect it to freedom in Christ? Is there a way to recognize the very equity of interdependency and its spiritual values, to present it as a valuable concept in our day? We need to explore this idea. As Chrysostom teaches us, the interdependency of a married couple is good in the same way it is for the broader society: to share one another’s skills in such a way to literally form a working community. One might say that a community could be formed without interdependency, but this would deviate from the traditional definition. Traditionally speaking, community is formed around a type of interdependency involving skills and giftedness. We see in the Holy Scriptures that ancient communities shared spiritual gifts, some of which were quite practical, such as administration and serving. This is a foundational teaching for the family, and for a community as a whole. It seems that the problem lies within the modern movement of globalism. Interdependency seems not to be needed anymore, because there is no demand for dependency on any particular person, and thus there is no true community. For instance, a woman no longer needs a man to use his brawn to feed her and the children; rather, she uses the corporate structure of modernity (modern society) to do this. Pull the curtain back from that structure, and what do you have? There are many ‘third world’ laborers, including children, hustling products into trucks and planes for us. And a man no longer needs the woman to cook what he brings home from the farm or the hunt, because he can just pop something into the microwave or eat out. These are just basic examples, but hopefully the point is clear. In many cultures, marriage and family are normally seen as the core of society. And it makes sense. The specific ways that men and women operate within a household are both reflections of and initiatives on the given society. But what if a given society is suddenly thrown into chaos, like many were in WWI? What happens to the family, and specifically, what happens to the marital roles of the husband and wife? Is there any interdependency left to share? There has to be! If the family structure has been thrown into chaos, the skills and gifts of the couple need to be fleshed out, so as to find their way out of the mess, even if it means finding their way out of the given structure of society. This could be complicated, and of course could mean some level of martyrdom. "Equality is known to produce strife. Therefore God allowed the human race to be a monarchy, not a democracy. And the family is constructed in a similar way to a monarch’s army, with the husband holding the rank of monarch, the wife as general, and the children also given stations of command." — St John Chrysostom, Homily 34 on First Corinthians. There is no interdependency in equality. When the chips are down — when all efforts are exhausted and things seem dark and complex — a final direction or decision has to be made, and the husband has to make this call. It is his duty, his responsibility. He must endure the brute end of things, in order to protect the fragile nature of his wife. The wife is “the weaker vessel”, as St. Paul the Apostle says. This does not signify that she is less intellectual or less spiritual than the husband. Rather, it means that as a person, overall, she is frail and should not have to endure the harshness of the world in ways like the husband both can and should. For this reason the present Canon anathematizes any woman who cuts off her hair for the sake of appearing and feigning to be engaged in ascetic exercise; which hair God gave her to remind her of the fact that she is under the rulership and subject to the will of her husband, since by so doing she is disregarding and transgressing the commandment, or injunction, to be submissive.’ And the Fathers took this from St. Paul, who says that a wife must have an authority upon her head, or, more explicitly speaking, a sign of her husband’s authority, and of her subjection to her husband, which is the natural cover of hair, and the external cover of headkerchiefs (headcoverings). To be a man is to be valiant, courageous, and tough. This is how men were created from the beginning of time, and how we have been cultivated throughout the centuries. We are hunters, fisherman, farmers, builders, innovators, artists, orators — our bodies, minds, and very souls are made for a masculine calling in life. A husband carves the path for his wife. Men are in the front, taking the blows of society and doing what they can to shield women and children from harm. This requires much wisdom through prayer, study/listening, and most of all, humility and charity. Your presence within your home is irreplaceable; you must accordingly love your home with all the cares and concern of a dedicated housekeeper. You must view it and consider it as your kingdom and you should be judicious about how often you exit its entrance. Let your husband take care of many of the outside cares and obligations while you concentrate towards those within the home. As St. Paul instructs, the wife submits to this lead of her husband and trusts that he is leading her to victory, even when the path is cluttered with obstacles. The husband is the king of the home, and like the kings that were anointed behind the altar, there is grace given to accomplish this task of leading. Not all paths that the husband chooses will be completely illuminated, but Christ will give him the light to make it through that path, even if it means taking the experience for what it is worth and turning around for safety. To be a man in these types of very common situations is not easy, and likewise it is not easy for the wife, who sometimes has to almost blindly place trust in her husband — who she believes is covered by the grace of God. A man does not need a competitor within his calling to lead; he needs a helper, as God has stated in Genesis. Man needs someone to team up with him, not against him. As we witnessed a century ago in the fall of Orthodox Russian society, it is dangerous to break down hierarchy within marriages — interdependency in a marriage is crucial. Neither man nor woman is incomplete without a spouse, but when community exists (which is what a marriage is) the interdependency becomes a factor that cannot be marginalized. 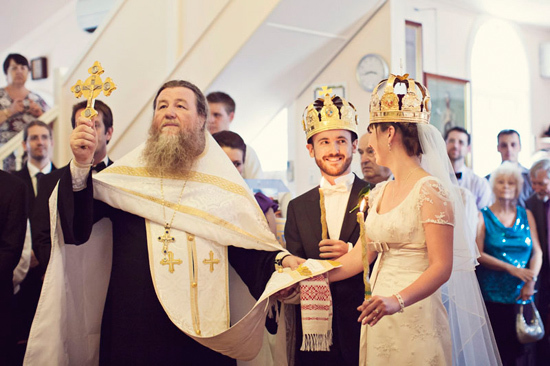 The modern marriage concept of two separate lives occasionally coming together for the more external, often hedonistic, luxuries of life, must be eradicated within the Orthodox Christian worldview. Marriage is a sacrament. It does not belong to the secular community. Rather, it belongs to the Church, and it is subject to what the Church has said about it. Two of our Three Great Hierarchs were mentioned here, along with an idea of how our canons were formed. This is the Orthodox tradition. It is patriarchal! It is so patriarchal that we have “patriarchs” of Orthodox nations. Orthodoxy can exist without patriarchs of nations, as it has in the pre-Nicene period of the Church. But patriarchy was still taught and implemented in that era, just in a smaller format. Men were bishops, and men were the spiritual heads of the homes. This is what the Apostles taught us. St. Paul says this regarding patriarchy, in the Epistle to Timothy: “Anyone who does not provide for their relatives, and especially for their own household, has denied the faith and is worse than an unbeliever.” He also states that the “husband is the head of the wife as Christ is the head of the Church.” When is the last time you heard Orthodox Christians in America talk about these very crucial things, which are so explicitly written in the Holy Scriptures? The interdependency of God’s patriarchal community cannot be extinguished or even marginalized. It would be a great sin to do either. To create family is to create a micro community, hence the crowns and teachings. And to create many micro communities is to create a nation, which in turn is to participate in a kingdom. The kingdom of God comes down to God’s creation, hence the eastern dome rather than a western steeple. We are to merge the creative order with the heavenly order. This means it is crucial to keep the family structure that God implemented in the Old Covenant, and preserved under the New Covenant. Those that teach against it and refuse to honor it are simply not teaching in accordance to the fathers and the apostles. Those families that refuse to consider this model of the family are simply not in accordance to the Orthodox tradition, and they need to carefully consider their influence on others within the Church and the broader American society.